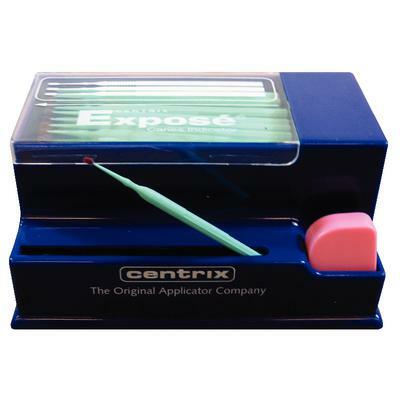 Exposé® Caries Indicator - Centrix Inc.
Exposé is a caries indicator built into an applicator and dispensing system. The detector solution is pre-applied to our Benda® Micro applicators. Apply simply by touching applicator to a wet tooth surface and infected dentin stains.